Philippe Dauman told investors a minority sale of Paramount is still on. Owner Sumner Redstone is objecting. Abrupt changes to the media firm’s corporate bylaws underscore acrimony and suspicion at the board level. Potential partners for Paramount have been forewarned. 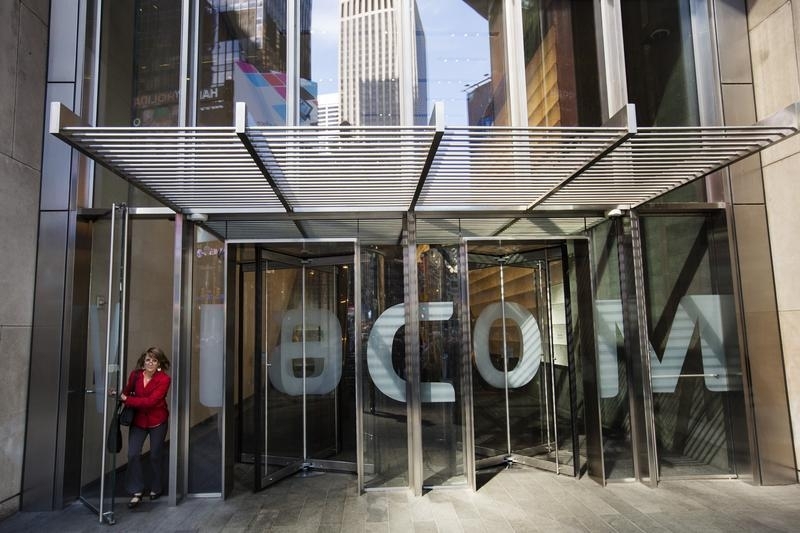 A woman exits the Viacom headquarters in New York April 30, 2013. During an investor conference on June 9, Viacom Chairman and Chief Executive Philippe Dauman said the company is continuing to pursue a sale involving a 49 percent stake of its movie studio Paramount Pictures. Viacom expects to unlock value of $10 per share in a tax-efficient transaction, he said. National Amusements, the Sumner Redstone-owned firm that holds an 80 percent voting stake in Viacom, amended the corporate bylaws of the media conglomerate on June 6. The change requires that any sale or financial transaction affecting all or a portion of Paramount must be unanimously approved by the Viacom board of directors.